“To me, a well-designed space should work well and feel great. We want our clients to ‘love’ their new space every time they are in it, not just the first time they walk in. I’m someone who designs for people. I’m genuinely interested in who they are – what makes them happy, their aspirations, how they do things and what would make a real difference to their everyday life. When things are done with heart, it shows. My experience in the graphic design industry (before I trained as an Interior Designer) taught me how to blend creativity with discipline. It gave me the skills to manage a project through from start to finish and work to timelines and budgets. Creatively, it also showed me the power of establishing the core idea early on, and staying true to it every step of the way. It’s an approach I bring to my interior design work. Wellington Interior Designer Frances Fraser has a Graduate Diploma in Design (with Distinction) from Massey University; also Bachelor of Management Studies (Hons) majoring in Marketing. Good design can fill the places and spaces of everyday life with joy. It can make our home lives easier and more enjoyable. It can help us work smarter and better. Where we get to know you – your family, your business, your organisation, your staff, your customers, your community – the people that will inhabit your space. What they do there, what they like, what gives them joy, what makes things easier, better. This step usually involves talking, asking questions, research, site visits, and more questions. It’s about understanding your requirements, your timings and budget, and sharing idea. We’ll work with you to create a vision – a core idea or theme to guide, inform and inspire our design approach. All the elements of design – materials, colour, form, light – have a language. They communicate consciously and unconsciously. A harmonious space considers all of these elements and puts them together in a way that responds to the individual client and the space, and doesn’t follow a prescribed style or trend. 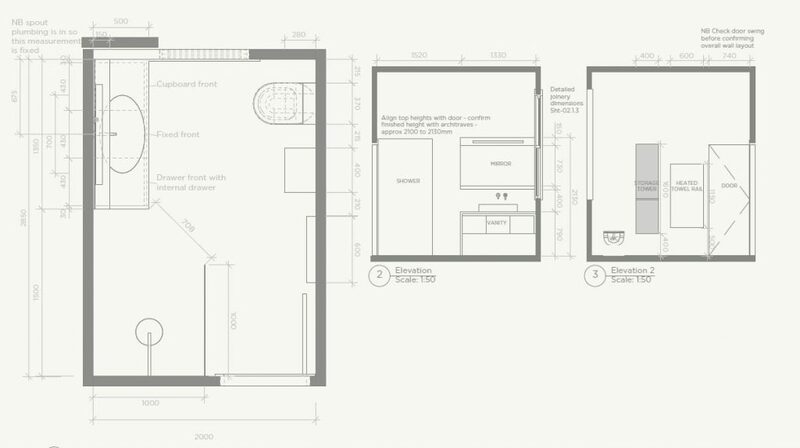 The finished design is a detailed plan for your space. Where the vision becomes real and the design comes to life. From first ideas to finished project, we take care of product design and sourcing, manufacture, installation and delivery. The magic moment is when we complete your space and you see everything together for the first time. Creating a space that reflects who you are, what makes you feel good, and how you go about living or working is worth investing time and energy on. We bring ideas and visions to life in all sorts of places and spaces. Whether it’s a new home, your old home, a community space, or a workplace. We believe that people are at the centre of every design we create – a person, a family, a community, a team of people. Each space we design is in response to the people that inhabit it. Once complete, it is a place they love to be. We like to get to know our clients and their clients. Understanding who uses a space, how they use it and what matters most to them, is an important step in the process. We take time to listen to your requirements, your ideas, your aspirations, your timings and your budget. Then we work with you to create a vision and bring that to life down to the very last detail. We respect our clients. We’re experienced and professional. We value ongoing collaboration and clear communication. And we understand that ensuring projects are delivered on time and to budget is what our clients want. We design with integrity. We want our designs to not only delight, but also endure far beyond current trends. Quality is important to us, as is craftsmanship. We set ourselves high standards and we approach every project with the aim of delivering a design solution that fulfils the vision and is an honest and true reflection of our client. COMMERCIAL INTERIORS Your brand brought to life for staff and customers through your physical environments. Helping you to do what you do better and an important part of your marketing mix. COMMUNITY SPACES Articulating a vision for your community space and creating an environment that makes a real and positive difference to you and the people who use it. RESIDENTIAL INTERIORS Interior design for clients building a new home or renovating, including custom kitchen and bathroom design from first ideas to finished installation. 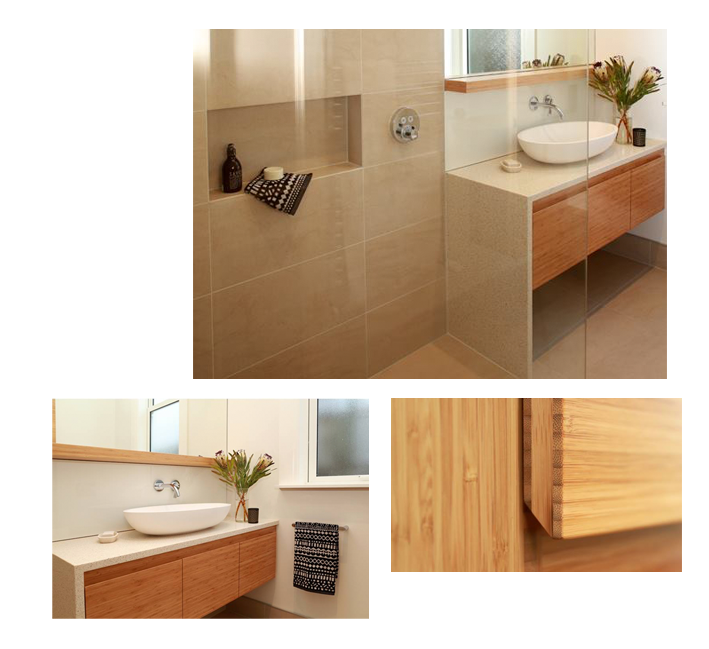 CUSTOM SOLUTIONS Bespoke joinery and furniture solutions designed for you and your space. Beautiful statement pieces expertly crafted from quality materials, to our exacting high standards. Are you a dreamer with no shortage of ideas – someone who believes that ‘anything is possible’? An interior designer can help translate your ideas into a clear vision and plan, throw in their own ideas, and then work with you to ensure the end result is a space that realises your dream and truly reflects who you are. Do you have a strong sense of who you are, and what you want to achieve? Do you believe that your physical environment has an important role to play in communicating, engaging and supporting your business or community goals? Do you believe that good design is fundamental to your success? We do. Working with an interior designer with expertise in the field of interior space design can make a real difference to your project. Like us, do you believe that something worth doing, is worth doing right? Is ‘okay’ simply not good enough? Do you want to make a statement, have a strong sense of style, and appreciate the value of good design? Working with an interior designer on your building or renovation project is an investment that will ensure your finished space reflects you and your vision.